Matt Kaplan finds a host of useful Guitar Apps to help you learn and play. 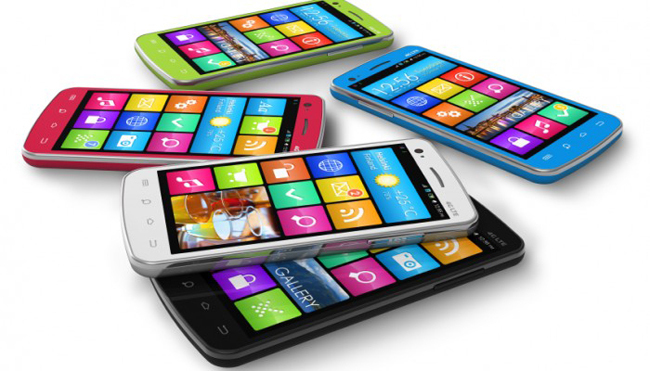 Read on to discover the best free Guitar and Music apps for your mobile phone! Today I had a great time searching for a few must have apps that are completely free in the iOS App Store and Google Play for Android devices. 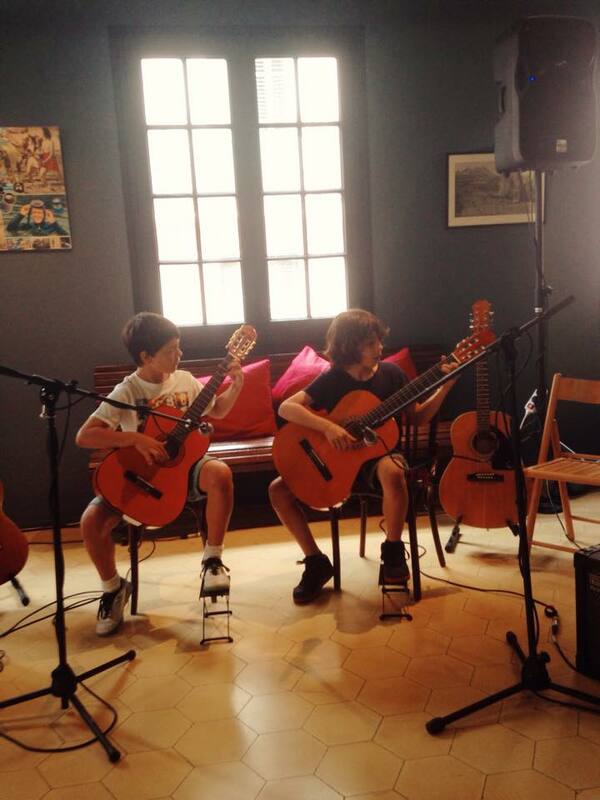 I would like to introduce to you all to: Yousician, Chromatic Guitar Tuner by Gismart, and Flamenco Móvil. Each of these apps would certainly be a great addition to your music app library! 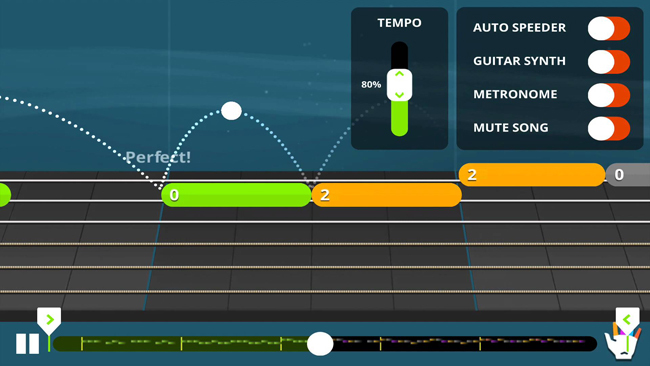 Yousician is a fantastic app that teaches you how to play the guitar through a series of games and challenges. 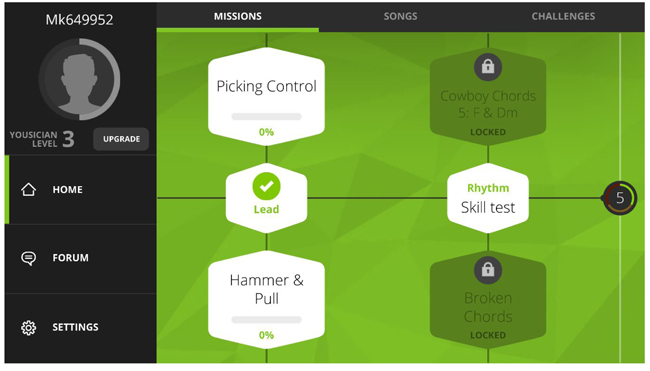 Imagine a “Guitar Hero” format with a much more productive side. 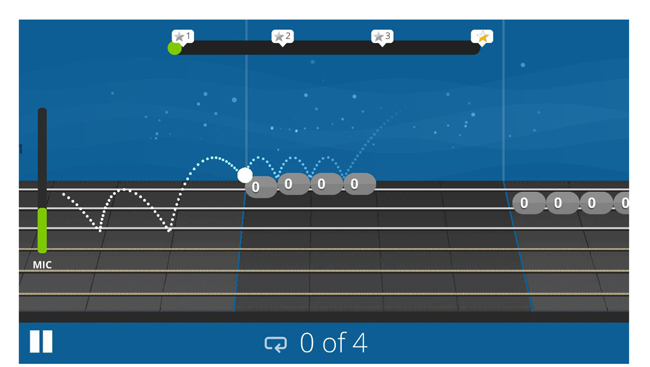 As much as I enjoyed the games trying to get the highest scores on the challenges, as a guitar educator I really appreciated the breakdown of techniques and crystal clear demonstration videos. I think this is a great way to mix up your practice sessions and spend some extra free time learning the guitar in an extremely creative way. This app definitely serves beginners a little bit more than advanced players, but it is developed for every level of progress (the challenges can be extremely difficult). I love that when you open the app you are guided through the interface with a step-by-step guided tutorial that asks you personalized questions to access where you can begin within the app. Once you arrive at the level that Yousician thinks that you belong, you can begin working through the progressive challenges. The games themselves are simple but they do take a few tries to get used to; especially when it comes to the timing of everything. The challenge itself involves watching guitar TAB fly by in real time while trying to play the correct notes at the correct time. I would suggest making sure that you are seated comfortably with the phone or tablet placed at a comfortable level so you do not strain your neck. 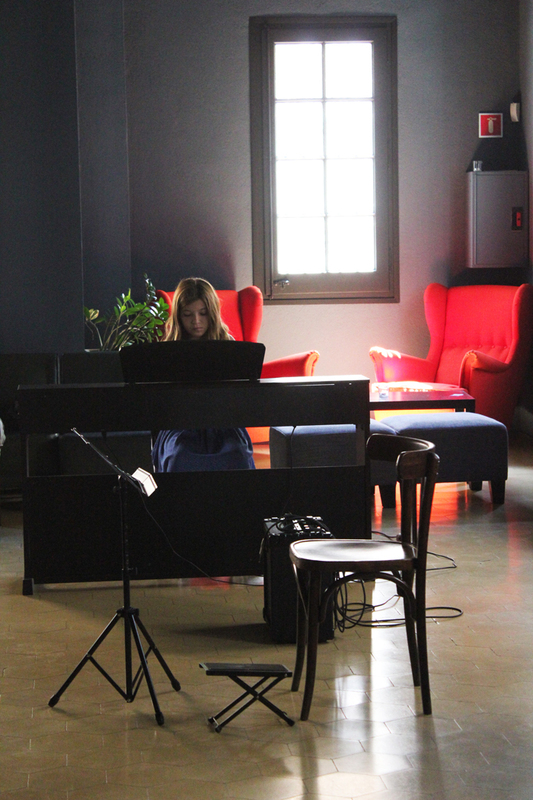 It can sometimes get difficult to keep your eye on the screen the entire time while you’re playing the exercise (especially if you are not used to sight-reading). 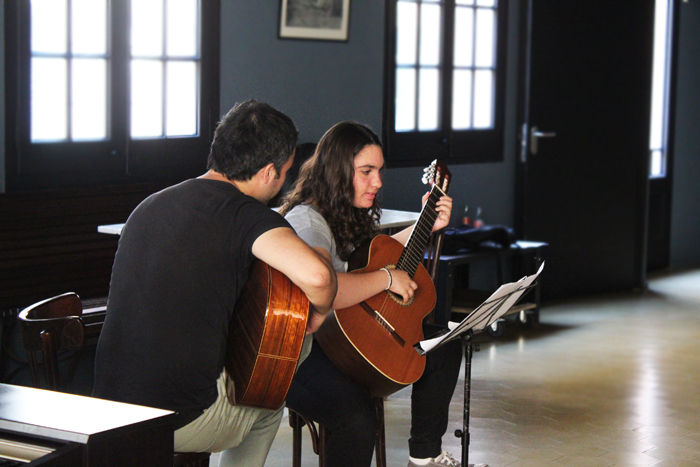 To pass between the various challenges and advance your level of playing, you have to watch instruction demonstrations (mini guitar lessons!). This is an aspect of the app that I really enjoy because it separates the game aspect from the actual facility required to play the instrument. Want to keep using Yousician but perhaps you are stuck on a difficult challenge? 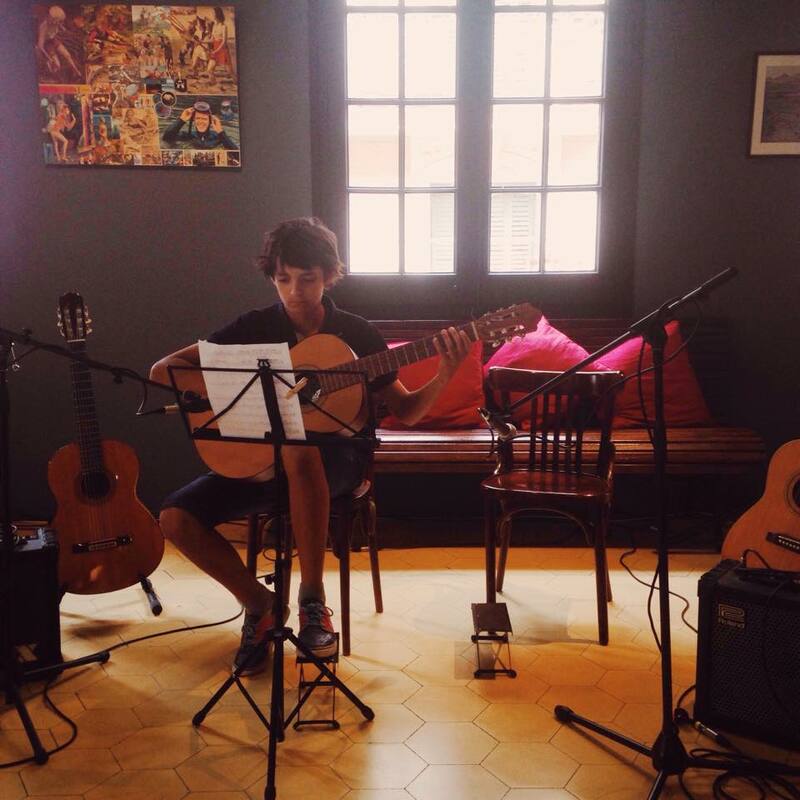 Yousician offers a song library for you to try out and play along with offering a few familiar songs. You can also stop by the challenge mode to find a few daily and weekly challenges. One of the exciting things about this app is that once you join, you will be part of a community of learners where you can interact amongst each other and share your progress! With this app it is important to keep in mind a few things for its use if you decide to download it. As I have been playing with it for a while I would highly advise that you be in a quiet location to not have any interference with the guitar-to-device communication. The sound recognition within the app is very sensitive for the game, which can of course be a double-edged sword. For that same reason I would suggest wearing headphones if you have the option. If you don’t have any handy, it’s not a big deal but you would not be able to turn the volume up on your phone all the way without it interfering with the mic. Lastly, as this is a free app, you can only play a limited time a day. If you choose to purchase the premium version you are invited to play as long as you like with added features! This app is a must have tool for any guitarist. Free through the iOS App Store and Google Play, this app has completely surprised me with the amount that it can do. It is definitely essential for guitarists but, as it has a very accurate chromatic tuning feature, it can also be used to tune your bass guitar, ukulele, and much more. 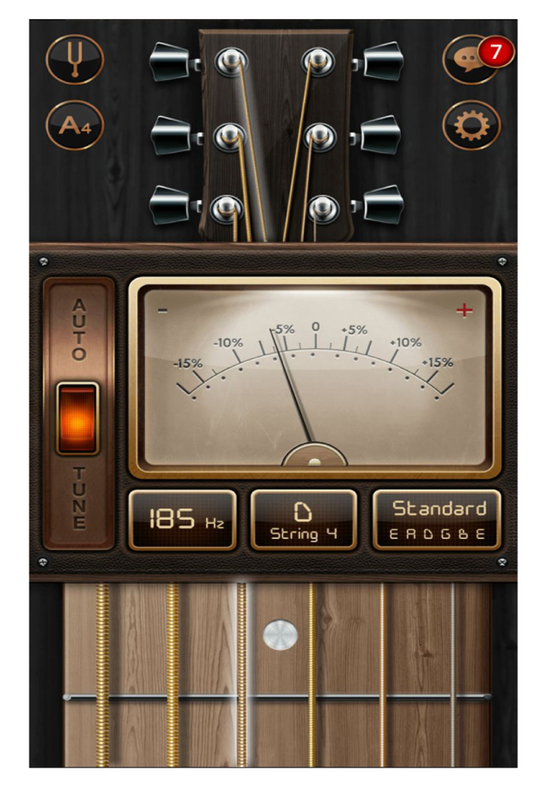 On the home screen we find the main tuner that is collaborated to the six strings of the guitar. Beginners will find this useful if they are used to tuning up with their teachers’ in- tune guitar. 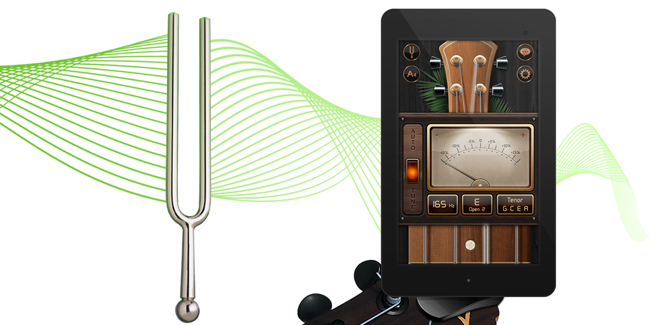 The interface is easy to navigate and advanced musicians will appreciate the accuracy of the chromatic tuner option (top right corner) and the tuning fork component. The tuning fork can even be calibrated to whatever frequency you’d like. One key feature to this app that other tuning apps do not have is that you can experiment with a great amount of preset tuning modes. On the main screen of the app we are presented with a standard tuning scheme that is clearly indicated right above the app fretboard. 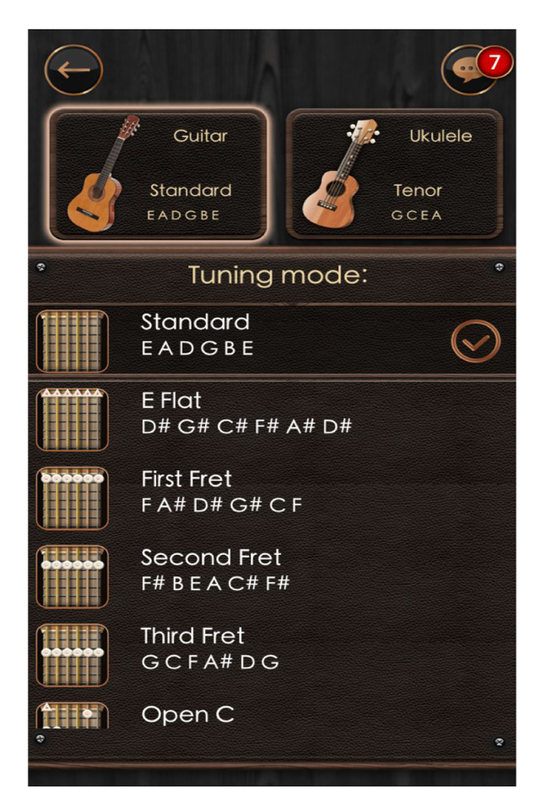 Hit the standard tuning option button and you are transported to a menu of many more tuning options. Want to tune your guitar down and jam to your favorite Jimi Hendrix song? Hit the Eb mode and retune to the preset strings with ease. There are many more options to choose from between guitar and ukulele so you can use the opportunity to play around in unfamiliar tunings and see what you can come up with! One word of advice for players that are not used to playing in drop or open tunings: retuning an entire guitar or just a string or two takes a little bit of time. That is to say, the strings will quickly be knocked out of what they are used to from the standard tuning and the guitar will seem completely out of tune. 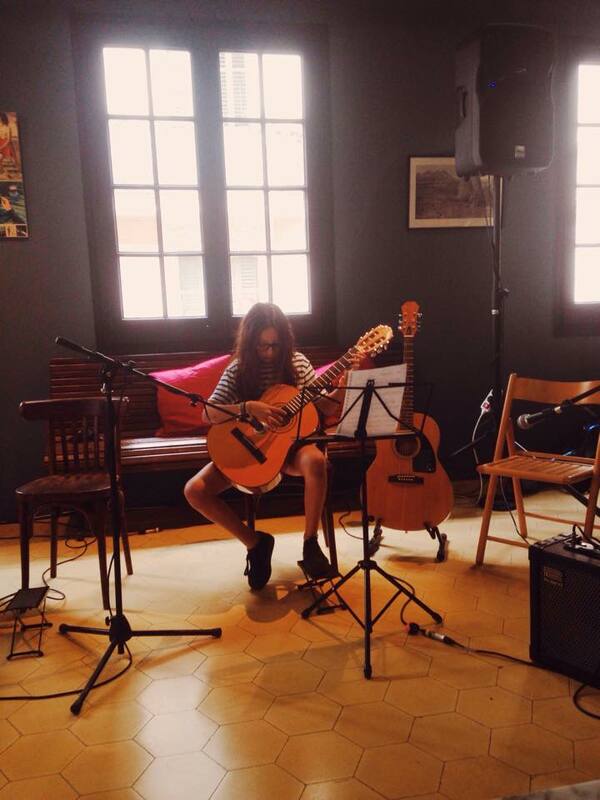 I would tune the guitar to your desired tuning, play around with it for a bit, and keep tuning up. After about a half hour or so (depending on how much you play it of course) your guitar should remain in the new tuning without jumping out of tune too much! 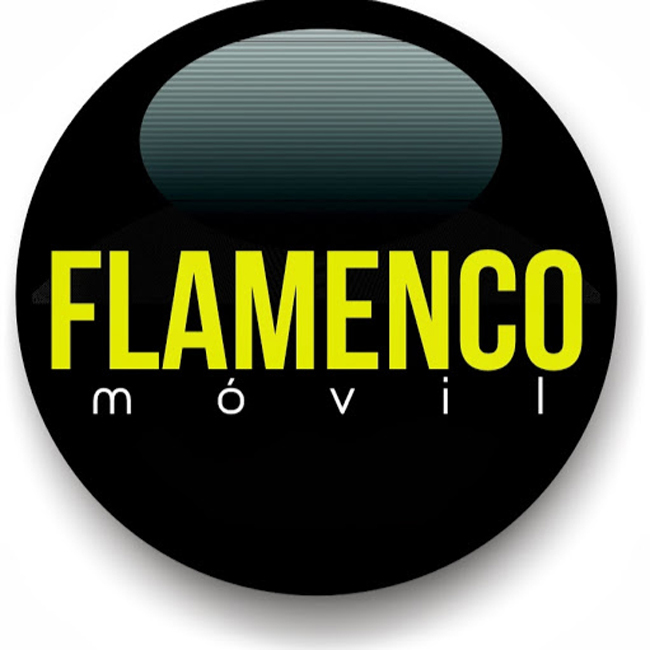 Flamenco Móvil is an amazing app for the flamenco guitarist and aficionado. This is not necessarily an app aimed to develop your skills as a guitar player; rather, it is an app that completely brings you into the holistic world of flamenco music. 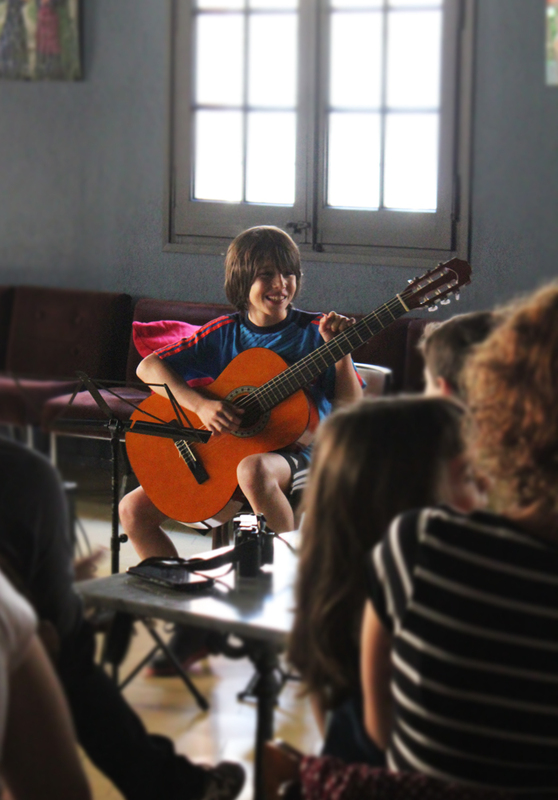 As most lovers of the art of flamenco know, it is much more than simply learning a few toques and falsetas. To understand the complexity and depth of the art, it is essential that one knows as much as possible about the history, players, and different types of styles within the art. That’s where Flamenco Móvil comes in. As you can see from the menu options above, you can spend a lot of time with Flamenco Móvil learning a ton about many different topics. In the Actualidad option, there are many news articles about flamenco happenings going on and a handful of interviews with flamenco artists (I personally enjoyed the multi-part interview with Manolo Sanlúcar). The cultura section is an amazing resource you have to check out. 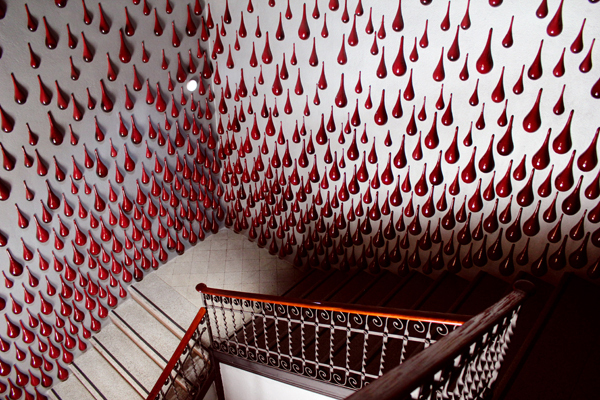 In that section you can read, watch, and hear about the history of the art and visit the Flamenco Móvil dictionary. My personal favorite tab of the cultura section is the Estilos sections where you can find everything you’d want to know about each individual toque. Not only is there an explanation but sometimes you can even find audio and video examples as well. The last thing worth mentioning about this app is the local services offered. 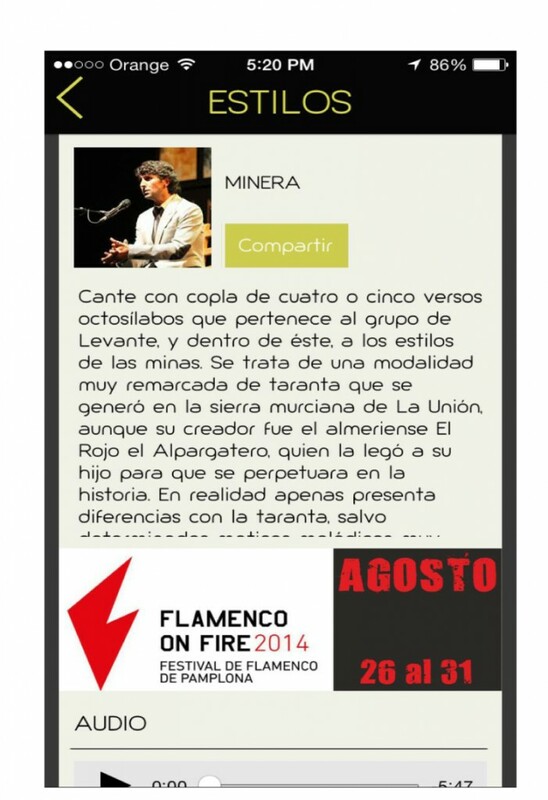 Using the Club option (if you give Flamenco Móvil permission to know your location), you can do a real time search of venues known to Flamenco Movíl that present concerts and shows. This is great for musicians that love to travel! However, just to note: the Agenda option is set up to show you concert options within a specific time and location. However, I have no had any success in getting any results which to me is just a minor setback to an incredibly useful app. 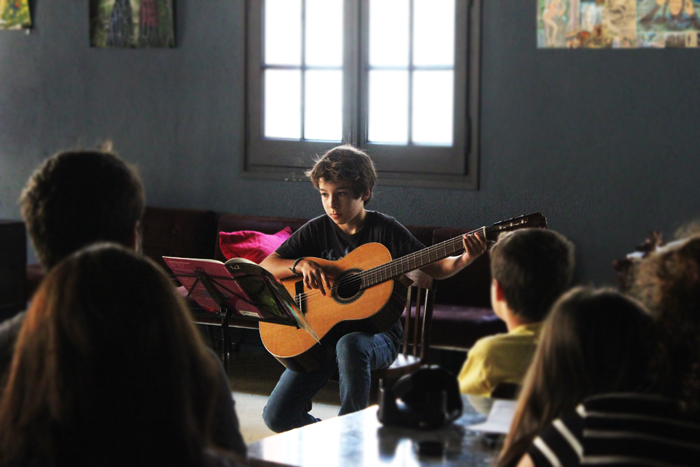 We had a great concert at the Bar Lliure Teatre Lliure. Students played well in front of the audience. You can see some videos on our Youtube of our beginners. Come back to see more, as we are in the process of putting them online. 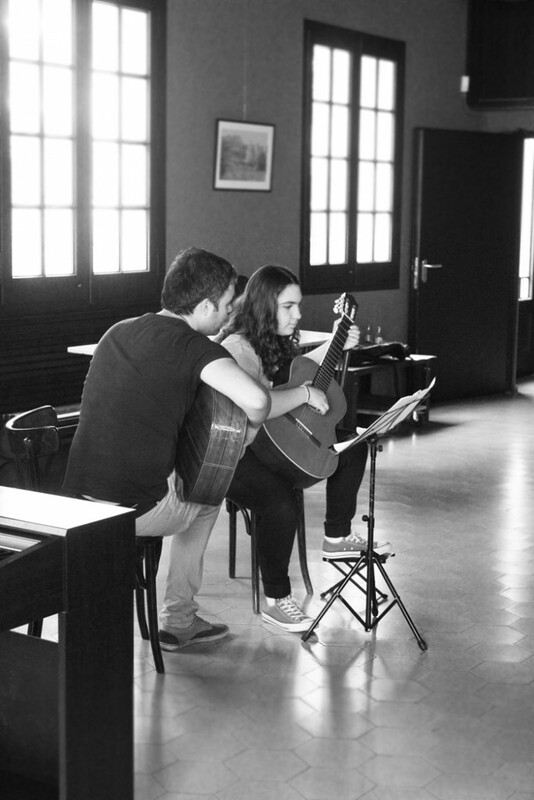 Meanwhile, look how cute these students playing the guitar are! Well done! 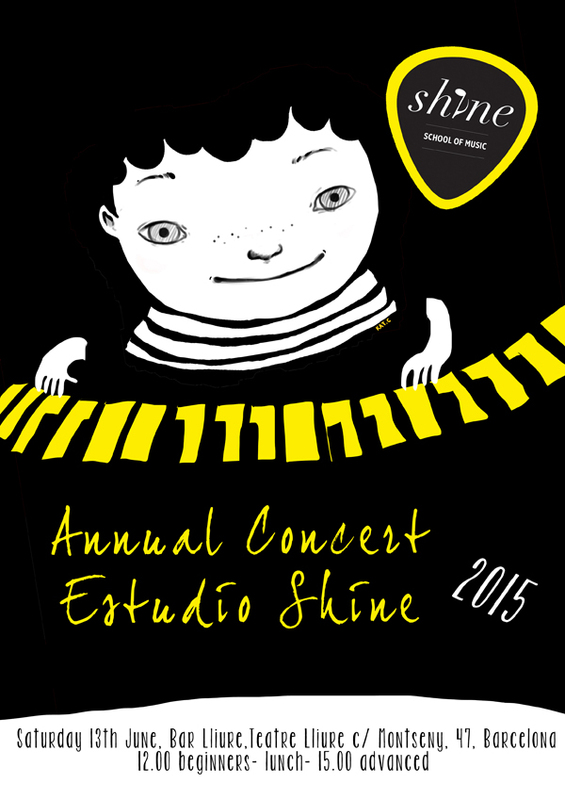 Our much anticipated annual Estudio Shine student concert is Tomorrow! 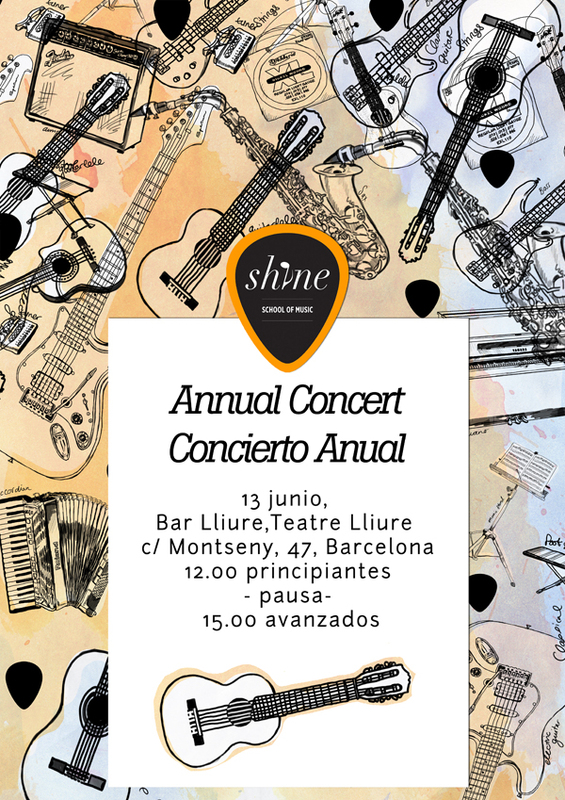 The concert will take place on Saturday 13th of June at Bar Lliure, in Teatre Lliure (c/ Montseny, 47, Barcelona, very close to Estudio Shine – Map ). We believe that the concert is a great chance to share the work you have been doing during the year with your relatives, teachers, friends and colleagues. Furthermore, this is an opportunity to experience the feeling of accomplishment of playing in front of an audience! 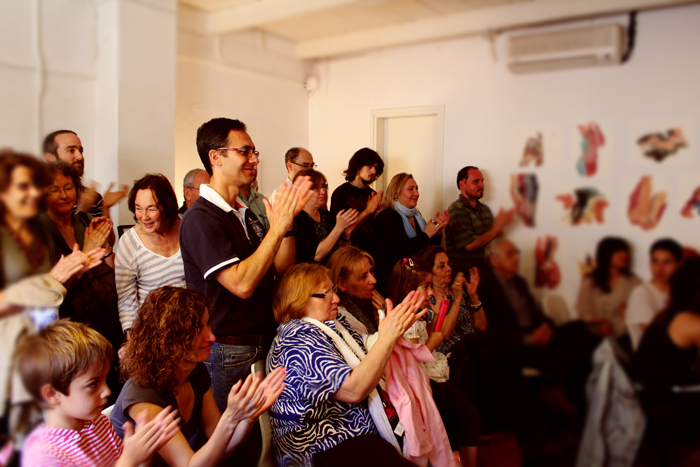 The concert will be split into two, with a pause in between for lunch. From 12noon until 1:30pm we will have the concert for our youngest students and then, at 3pm a concert for our adult students. In any case, you are welcome to attend both of them, even if you or your children are not playing. Students who play should come before the concert starts. 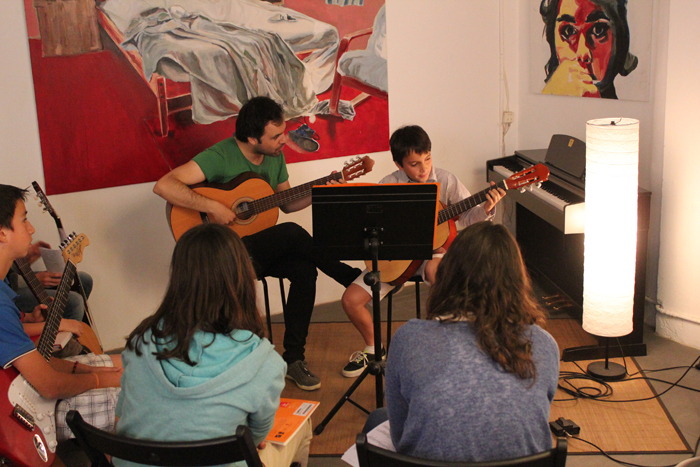 Our small and informal exam concert was held yesterday on Saturday the 16th of May. 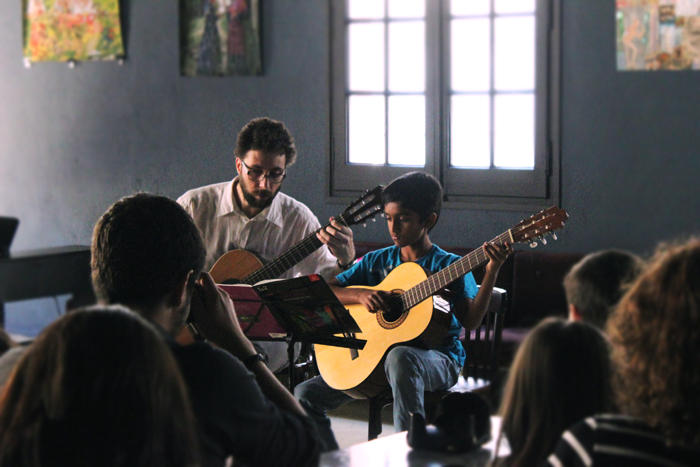 It was a great opportunity for the students to have a chance to play their pieces to a small audience of family and friends before the big exam day arrives. The concert was enjoyed by all and the students played very well. 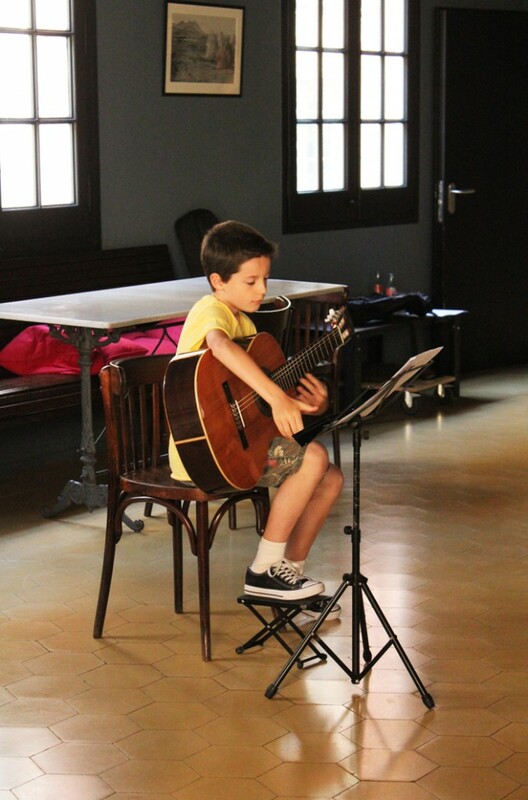 We enjoyed classical guitar pieces as well as piano and finally some Rock & Pop. 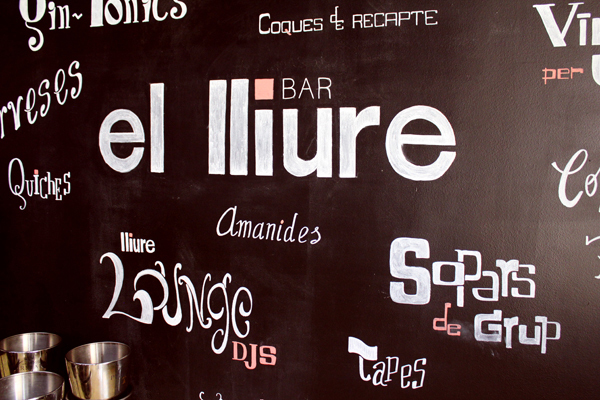 After the concert we all got together to enjoy some snacks and drinks in the Theatre Lluire Bar. Thank you to everyone who came and participated!